PCM-Sponsored Solar Team Takes 3rd! 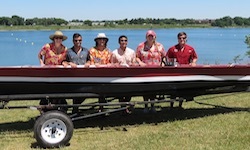 Little Mountain, SC (June 29, 2016) - A team of University of South Carolina (USC) mechanical engineers, working with Pleasurecraft Engine Group (PEG), took third place in SOLAR SPLASH®, the World Championship of intercollegiate solar/electric boating, held June 15-19 in Dayton, Ohio. Since 1994, university teams from across the globe have designed and built prototype solar/electric boats for competition in Solar Splash. 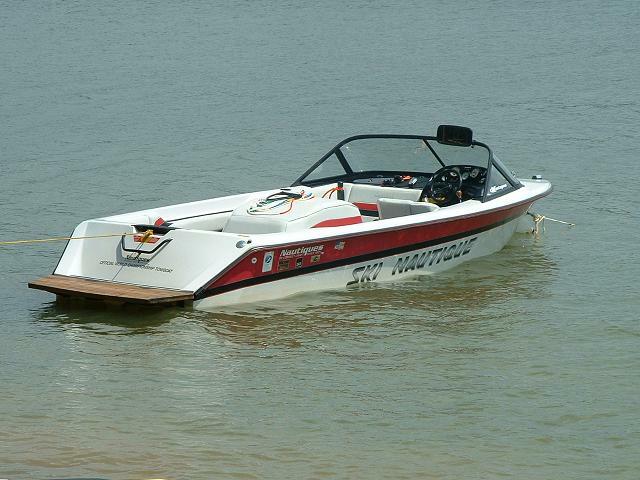 Each teams boat goes through technical inspections followed by five on-the-water competitive events. Points are earned in 7 categories to determine an overall champion. USCs teams have now earned nine Top 5 finishes including three World Championship titles. In addition to offering financial support, PEG assisted the USC team through the entire 12-month design process. PEG President Mark McKinney and USC team captain (and new PEG engineer) Carver Buis began by attending a hybrid electric boat show in Fort Lauderdale to learn more about the electric marine world. The most valuable support came from the teams access to PEG engineers inputs and perspectives throughout the entire design process. Without the influence of PEG in the solar boat project many design issues would have been overlooked. Due to the experience and guidance PEG provided to the team, we were able to place well in the competition and also take home the award for Most Improved Team, stated Buis. About SOLAR SPLASH: SOLAR SPLASH is a trademark of Solar Splash Inc., a non-profit organization formed to promote engineering education and interest in solar innovation. Solar Splash Inc. seeks to involve college and high school students in hands-on educational activity by hosting the SOLAR SPLASH competition each year. For more information visit www.solarsplash.com. About Pleasurecraft Engine Group: Pleasurecraft Engine Group, owned by Correct Craft, manufactures four engine brands, PCM, Crusader, Challenger, and Levitator, from its headquarters in Little Mountain, South Carolina. For forty years Pleasurecraft has led the industry in providing the highest quality, most innovative inboard engines, backed with exceptional service. For more information please visit www.pcmengines.com.